Designing a single web page can be quite confusing, so just imagine how complex an entire website would become. We understand this and have attempted to make the website design process simple, yet thorough for you to get your site up and operating quickly and painlessly. DFW Web Design offers a wide range of web site services for small to medium sized businesses and organizations. On this page you will find an overview of the many services we have to offer you to make your website perform organically as well as possible. We optimize all of our website's as we build them, we create search engine friendly design and coding and make sure that your site is search engine ready when it is launched. 1. 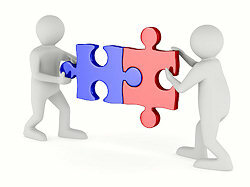 Work with you and your staff in the website development, listening to your wants and needs. 2. Will ensure that you understand exactly what you're paying for, and when you pay. 3. Provides you with access to the work online as the website design progresses. 4. Will establish a clear time frame for the development process. 5. Turns over ownership of all files and graphics for the website to you. 6. Provides a post-design support. DFW Web Design is committed to these requirements. We believe it helps us to do a better job for our clients and make the overall experience a pleasant and professional one. For information about SEO / Marketing Services click here, for information about WordPress / Content Mangement design click here and for information about Mobile / Responsive design and Mobile Apps click here. Once your new site is up and running we can help you maintain it and keep it up to date. We provide maintenance as you need it. We do not have any monthly fees, you only pay us when you use us. We charge an hourly rate and their is no minimum, so don't let your website get out of date because you think you cannot afford to update it. A major complaint that we often hear is that it takes some companies a long time to make changes to a website. Our policy is that we will make your changes within 3 business days, or we will not charge you. Updating and maintaining our customers website's is a very important part of our business and many times we can make the changes the same day as we receive them. 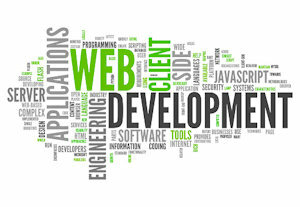 Design and Development are terms often used loosely and interchangeably in discussions about web projects. However, each has a different meaning, and each refers to a differing set of tasks and objectives. Web development takes over where design ends. Development almost always involves utilizing databases to provide functionality. User accounts, eCommerce, dynamic content, and client-editable content, are all examples of functions that are provided through development rather than design. Although design and development each has distinctive and differing tasks, a smooth workflow between a designer and a developer is essential, and best achieved when each understands the basics of the other. Since design can best be summarized as “appearance” and development refers to “functionality”, it becomes easier to not only see how each is different, but to realize how closely they work together. DFW Web Design can help you to develop a complete online website that serves as a tool for you and your visitors and customers. You can allow customers to interact with your company online for a function or service that you provide for them and generate reports an log activity. Both you and the customer have access to account history and activity.